Here’s a rare opportunity to plan ahead, thanks to the Department of Tourism at the Town Hall of Santiago del Teide, who confirmed to me this morning, by email, that the dates for Carnaval in Los Gigantes in 2015 will be from 27th February to 2nd March. Their email confirms what my own research suggested, from which, I believe we can extrapolate the dates for future years also. I obtained this information in response to a request from a reader, but it may be of interest to others too, so here goes. Researching online, I aimed to find the dates of the Los Gigantes Carnaval over the last few years to see if there was a pattern. I found that, whilst the start date has been moved forward sometimes to incorporate additional events, the core four final days of the event does form a regular pattern and thus, we can use the final day of their carnaval as a reference point. This is the final Monday, when Los Gigantes traditionally hold their Burial of the Sardine and this has consistently fallen 13 days after Shrove Tuesday. Friday: Election of the Queen, Infant and/or Adult. Sunday: Main parade from 5pm. Monday: Burial of the Sardine from 9pm. Each night is generally followed by some sort of party, with music and dancing in the open air. 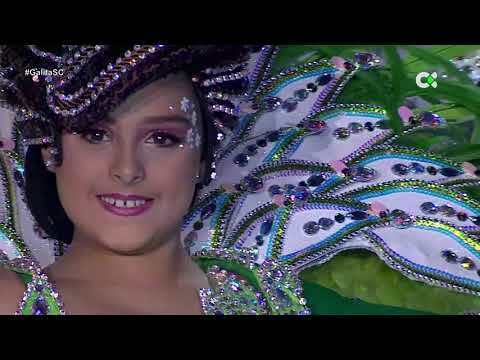 For subsequent years, just remember that the start of the four main carnaval days in Los Gigantes is, therefore, generally on the Friday, nine days after Shrove Tuesday and you can find a full list of the dates of those in our main Santa Cruz carnaval dates entry, which runs to 2050.